Set in the shadows of The Kelpies, the Horsebox Cafe and Gift Shop offers visitors the chance to sample artisan ice cream, hot drinks and homemade snacks beneath the noses of the majestic monuments to horse-powered heritage. As well as food, drinks and artisanal ice cream from Falkirk-based parlour The Milk Barn, visitors to the Horsebox can also peruse a selection of gifts, from items clad in Scottish Canals’ bespoke tweed to prints of historic canal maps. All profits generated by The Horsebox will be reinvested in the canals to safeguard their rich heritage for future generations to enjoy. 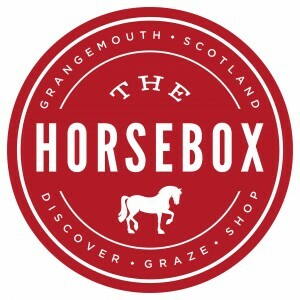 The Horsebox also places a big focus on sustainability, utilising compostable packaging and sourcing the majority of its products and ingredients from Scotland.